Pigger Peak is an excellent quality dry feed based on high levels of food-grade dairy ingredients to ensurethe same taste perception as Pigger Cream. This encourages piglets to eat and reduces feed refusal. In addition, the high protein quality is very effective in promoting digestibility and provides the piglets with the enriched nutrition they need before and during weaning, resulting in vital piglets with peak growth performance. Pigger Provenient is a good quality dry feed based on medium levels of food-grade dairy ingredients to ensure the same taste perception as Pigger Cream. 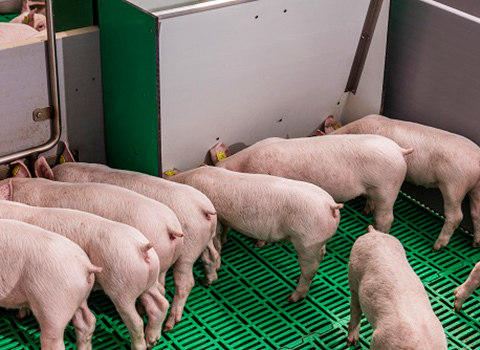 Pigger Provenient provides a steady transition from pre-weaning to the grower period. It supports the development of the gastro-intestinal tract, resulting in high feed intake and more piglets eating. Pigger Plug is a concentrate to produce local piglet’s feeds and is a good continuation of the Pigger programme as the same additives are included which stimulates further growth. Furthermore, it ensures a consistent smell and taste perception for a smooth transition from the Pigger portfolio to local feeds. Piglets’ nutritional needs differ according to their life stage, and transition to the next stage should be supported. Pigger feeds thus have the same taste perception, which encourages piglets to eat gradually. 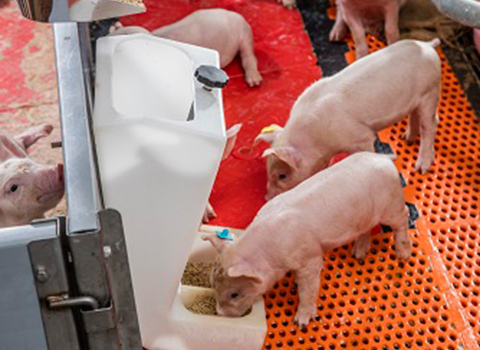 The higher pre-weaning feed intake supports piglets to consume better post-weaning. 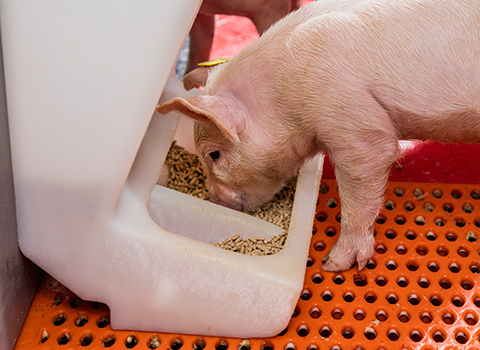 Due to the pre-weaning feed intake, the intestines are prepared for feed digestion, so that piglets can digest solid feed better post-weaning which avoids fasting.